The essence of Modern Asian signature colours, textures, furnishings and homewares are beautifully displayed in this book and will influence an easy transition to your living space. You will learn how to choose the key ingredients which bring the contemporary elements from the West and the exquisite simplicity of the East into your own home. Modern Asian Style is a fusion of East and West and Zen principles of simplicity, harmony and serenity are key components of this style. 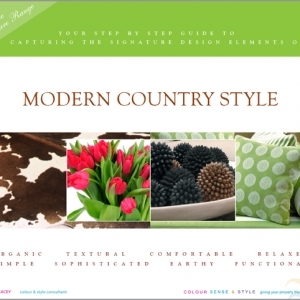 The mood is informal and peaceful and the overall look is linear, uncluttered and calming. 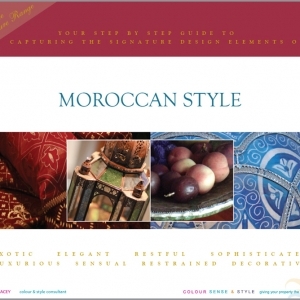 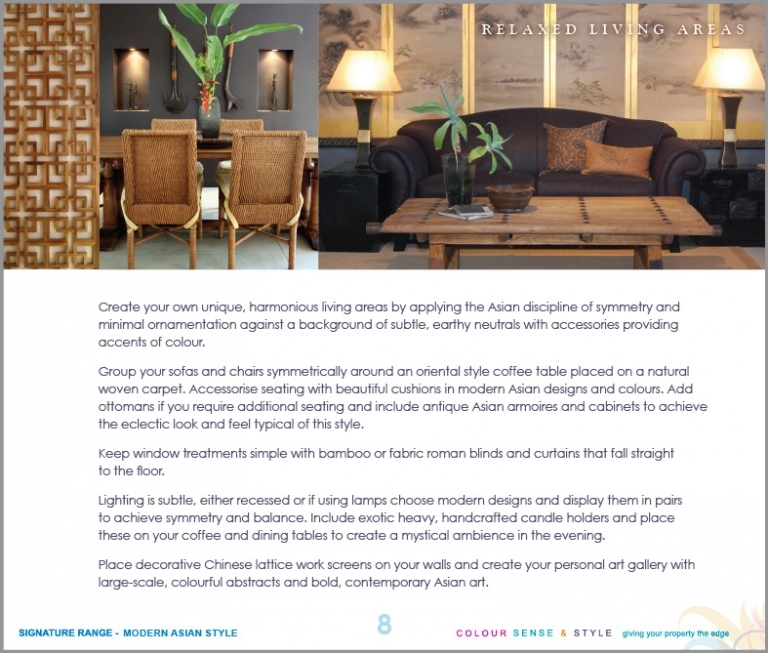 Includes: Introduction, Modern Asian Colours, Yin and Yang Texture, Silk Road Fabrics, Eclectic Furniture, Exotic Accents, Relaxed Living Areas, Resting Place, Outdoor Room and Resource Guide. 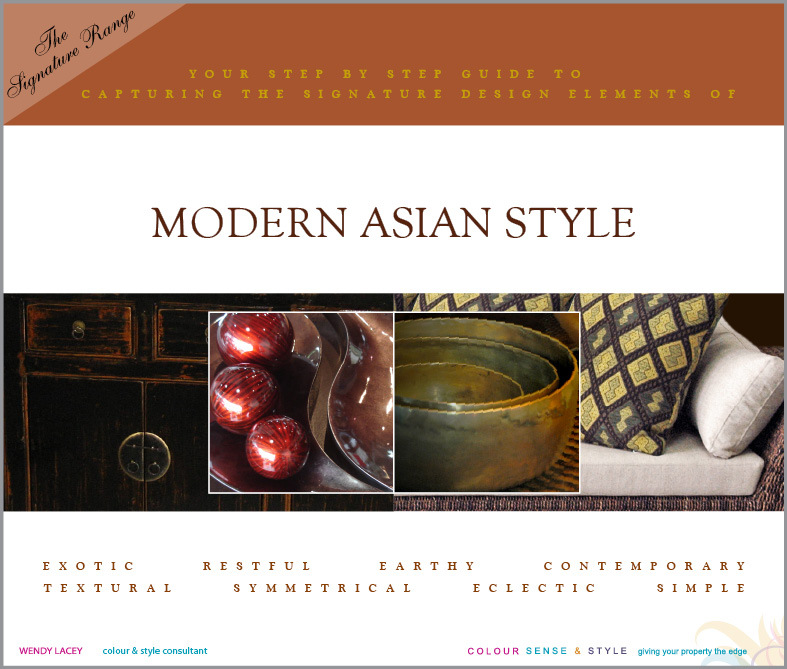 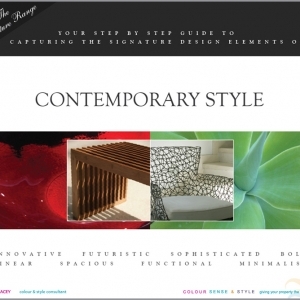 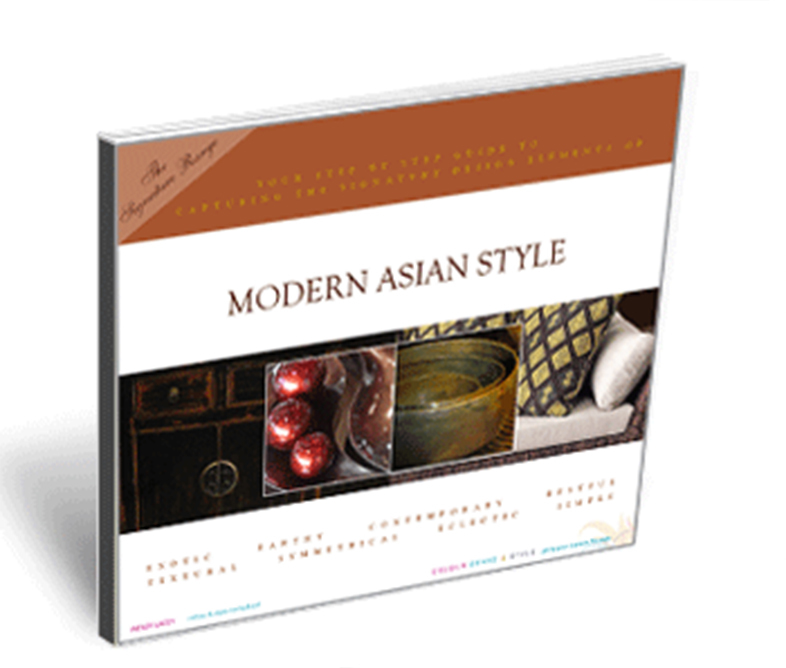 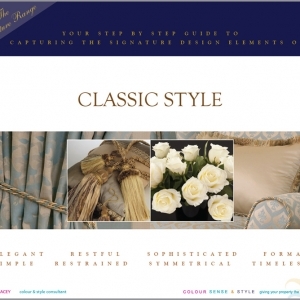 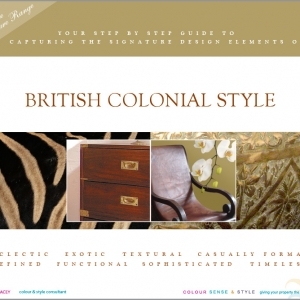 Overall 14 pages of the colour, sense and style of Modern Asian Style.